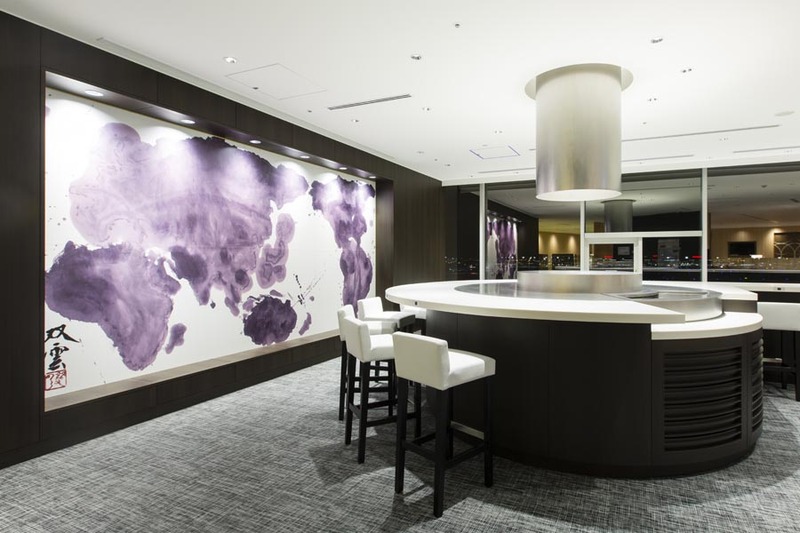 Japanese design elements abound in the new Sakura Lounge at Haneda. 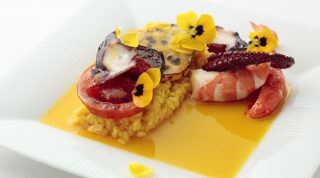 Dining includes Japan Airline's signature curry and Maison Kayser bread. 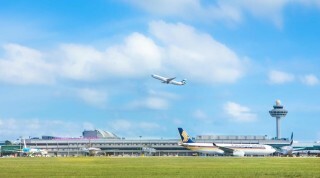 Massage chairs allow guests to relax before flights. 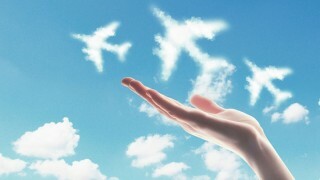 All seats have views of passing planes. 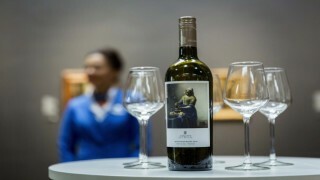 The bar with art by Souun Takeda. 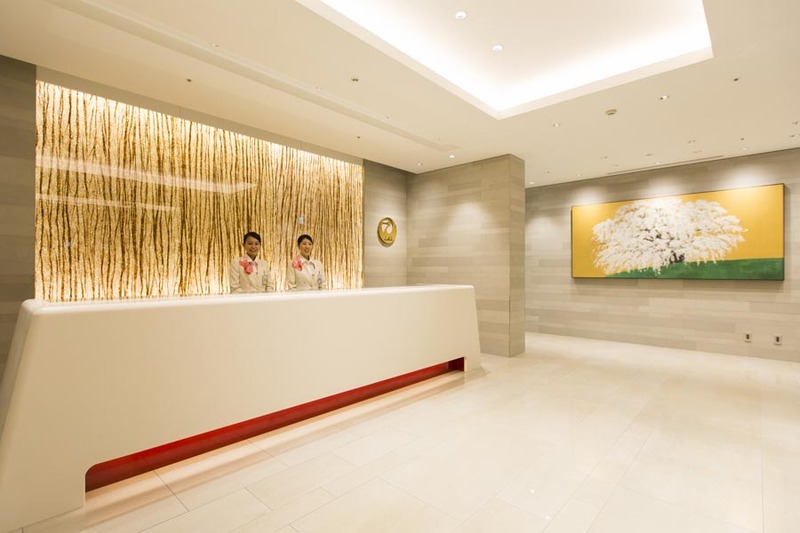 Limited edition sakura cherry blossom soap will be given to guests. 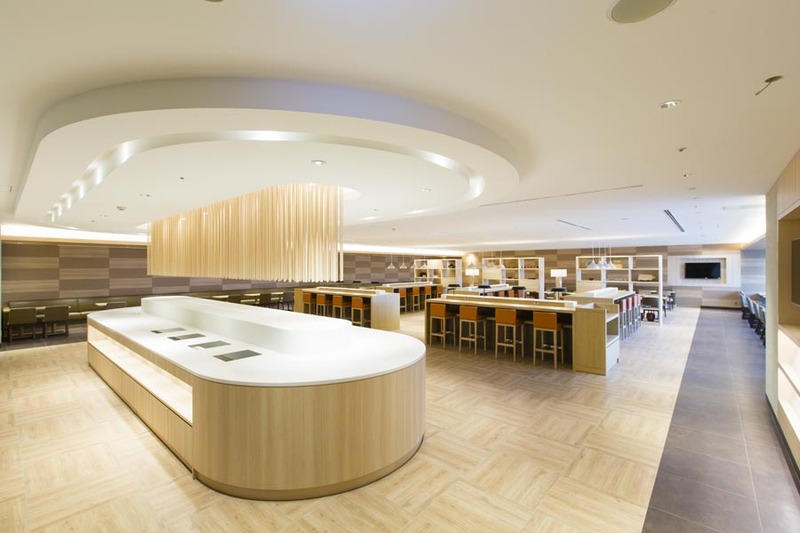 Japan Airlines’ redesigned Sakura Lounge at Haneda Airport’s international terminal will open to the public March 30, coinciding with the expansion of the terminal. 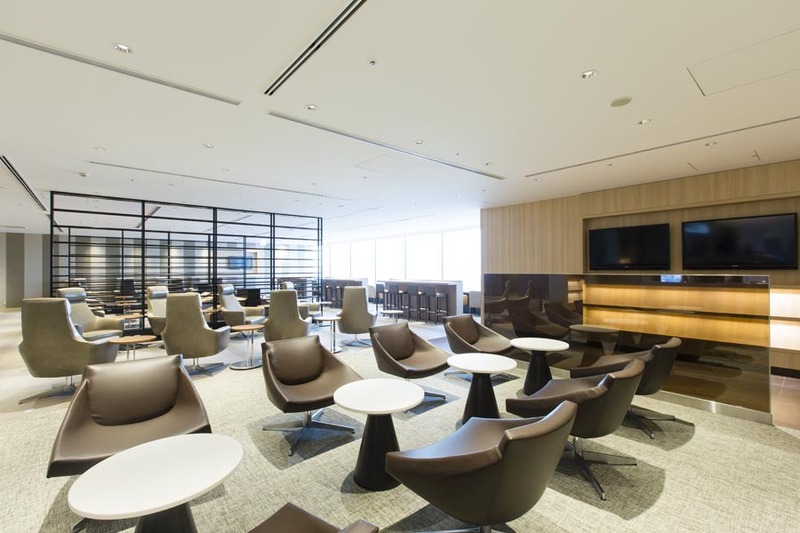 The new lounge features sakura cherry blossoms in its design, which are now in season throughout Japan, along with nature-inspired artworks in a sleek, minimalist setting. Ryu Kosaka, executive creative director of renowned A.N.D. interior design firm, lent his talents for the space including the selection of traditional latticework and Eames-inspired furniture. 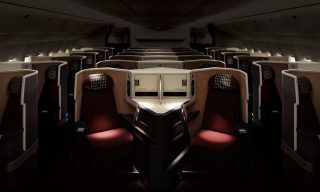 More than 500 ergonomically-designed seats are available with views of passing airplanes from every position. 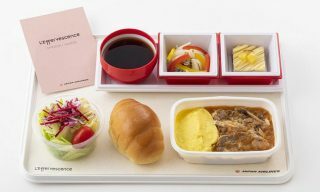 Japan Airline’s signature curry is on offer along in the dining room along with bread from Parisian bakery Masion Kayser. 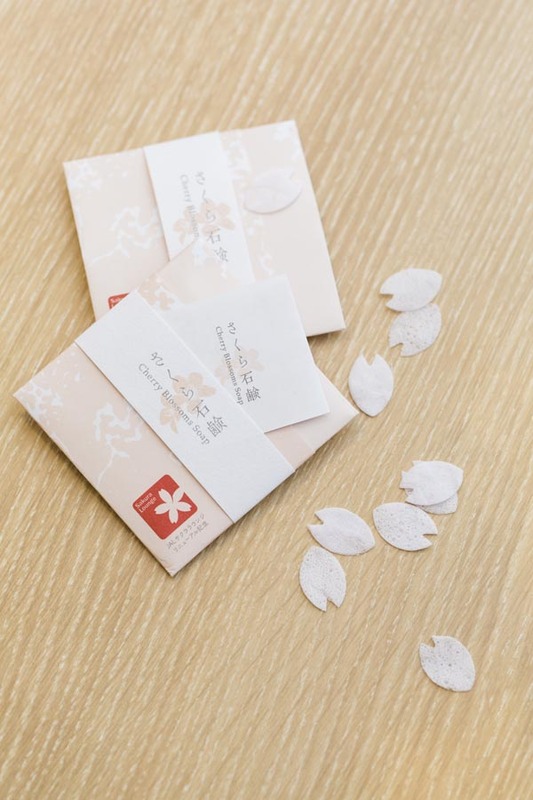 Delicate soap in the form of sakura blossom petals will be given to visitors as part of the launch. 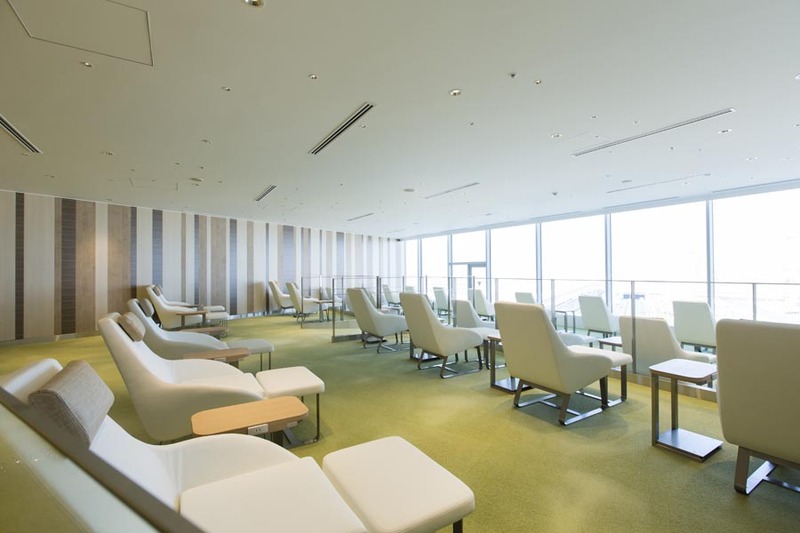 The airline also plans to revamp its international First Class Lounge at Haneda airport, with improvements scheduled to be completed by the end of August.